Atlanta, Georgia satisfies families of foodies, art lovers, outdoor enthusiasts, and penny pinchers. There are plenty of attractions in A-town you can explore without spending a cent. 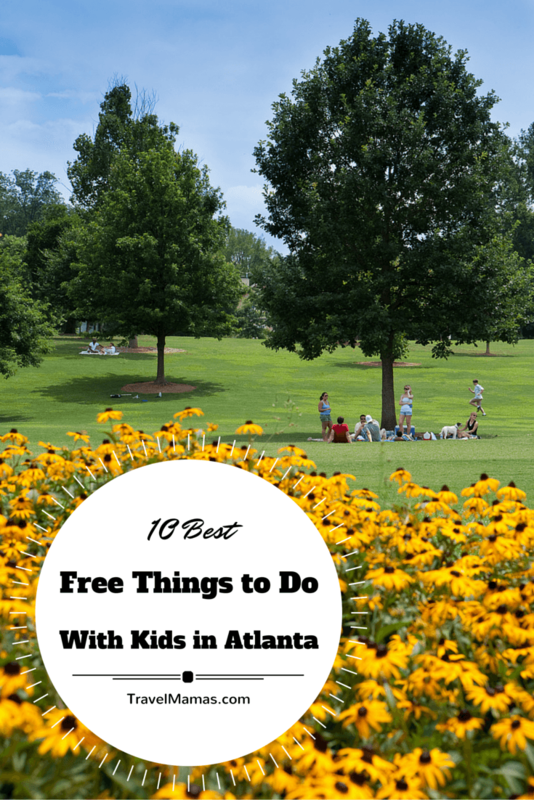 As a former Atlantian, these are my picks for the 10 best free things to do in Atlanta with kids. 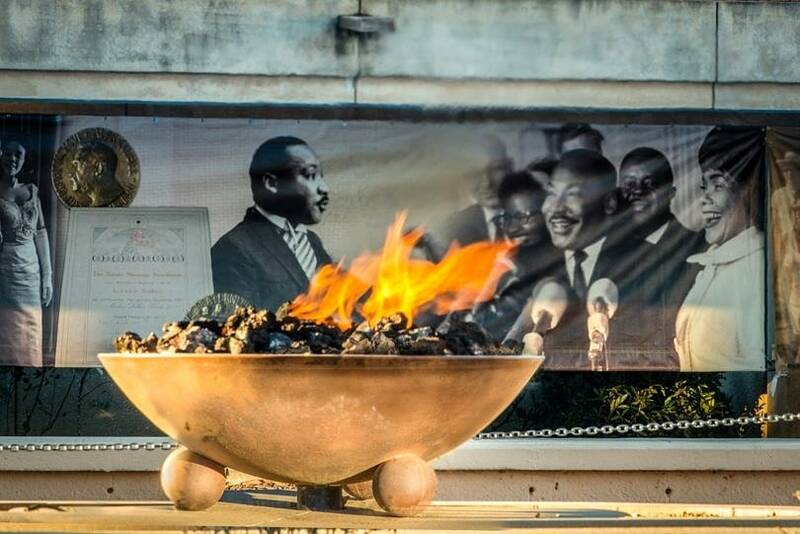 The Martin Luther King, Jr. National Historical Site honors one of the great leaders in the African-American Civil Rights Movement. Covering 35 acres, this site managed by the National Parks Service offers much to see and learn. Among the many stops, you can pay your respects at his burial place, tour his boyhood home, or visit Ebenezer Baptist Church where he often spoke. Entrance is free for all ages. Almost 20 years ago, the Summer Olympics came to Atlanta. It was such an exciting time to be a resident of this great city! 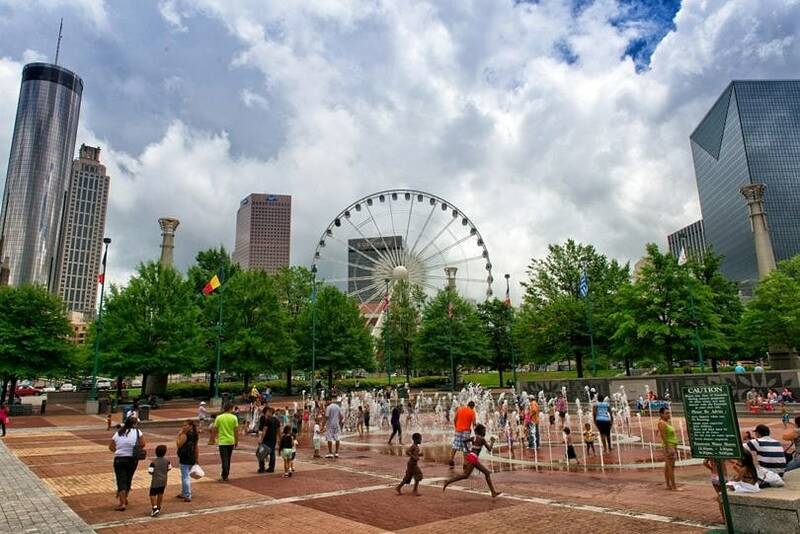 In a previously run down part of the city, the Centennial Olympic Park was created as a gathering spot for visitors and residents alike. One of the most popular areas of the park is the Fountain of Rings. Touted as the world’s largest interactive fountain, kids can splash in the waters that spray from the Olympic rings symbol. DeKalb Farmer’s Market is THE food shopping destination in Atlanta for individuals, restaurants, cafes, and food trucks alike. Many of my favorite Atlanta restaurants serve local and international foods from the market. 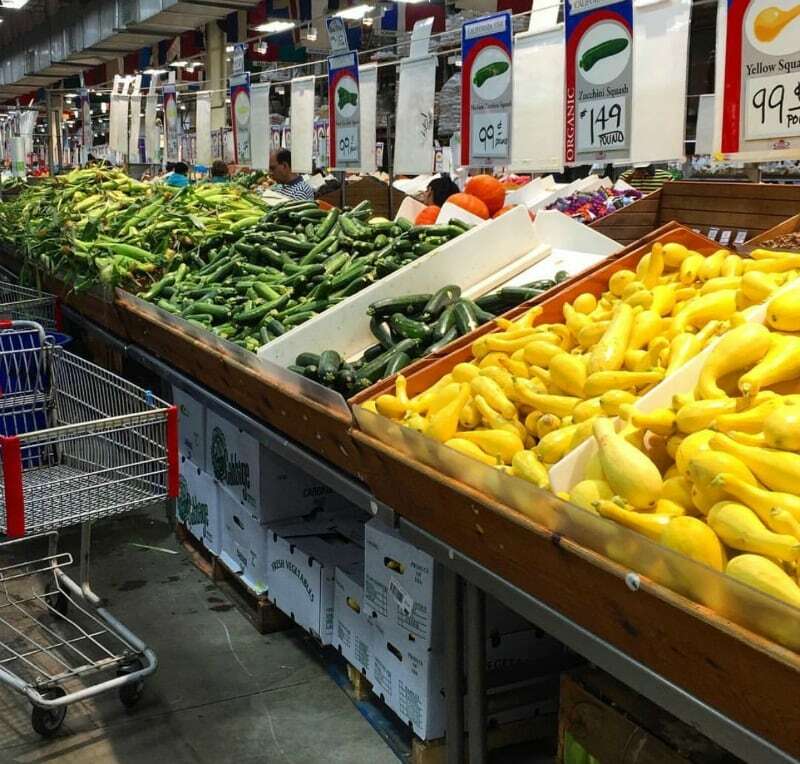 The food isn’t free but there’s no charge to wonder through the colorful rows of fresh fruits and vegetables, aisles of spices, coffees, seafood and flowers. Plan to have lunch at the market, enjoying a sampling of foods from salads, to moussaka to pizza. When I taught summer camp in Atlanta, my campers adored field trips to Piedmont Park. This 189-acre outdoor play space located in Midtown Atlanta, has something for everyone in the family. The park offers such activities as playgrounds, skating and biking paths, picnic areas and grills, and fishing in Clara Meer Lake (a Georgia State fishing license is required). Download a printable scavenger hunt for kids before you go. Bird walks led by the Audobon Society are free of charge for all ages. Check the Piedmont Park calendar for festivals and other happenings in the park like the Atlanta Jazz Festival for music lovers, the Atlanta Arts Festival for art lovers or the Atlanta Ice Cream Festival for everyone. This park is a must when visiting Atlanta with kids. If you haven’t been to the High Museum of Art, do yourself a favor and go. 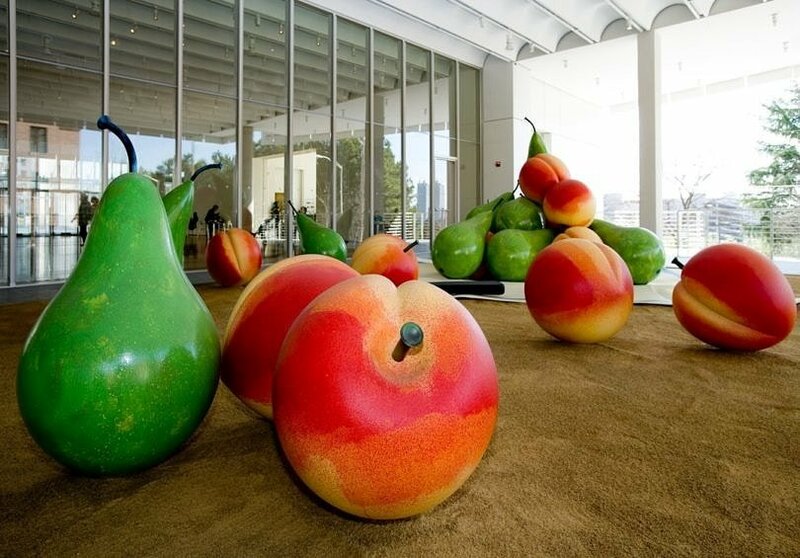 This museum features over 15,000 pieces of artwork in its permanent collection. Art lovers can peruse an impressive collection of contemporary and modern art along with traditional European paintings, African art, photography and more. Everyone receives free admission to the museum on the second Sunday of each month as part of Family Fun at the Woodruff Arts Center, with special family-friendly programming from 1 to 4 pm. This wheelchair accessible paved trail stretches for 61.5 miles. It starts in Smyrna (where Julia Roberts is from!) and ends at the Georgia/Alabama line. 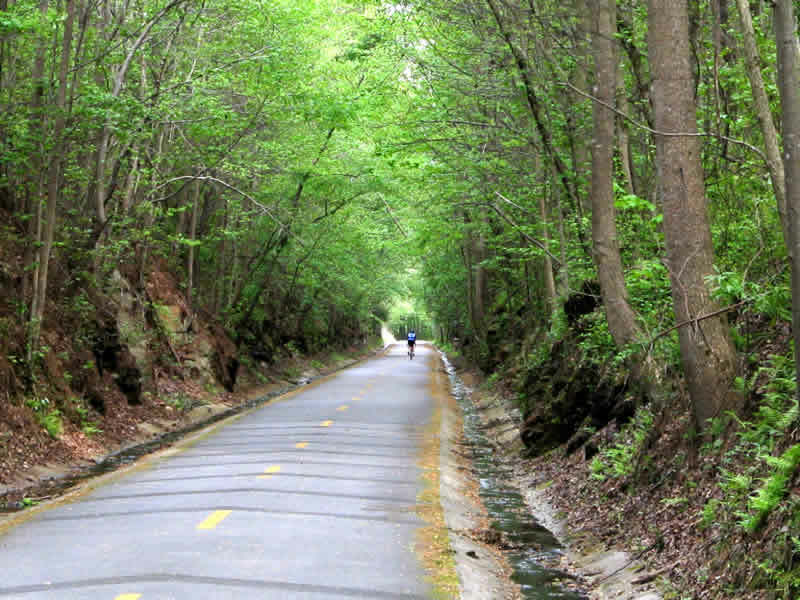 The picturesque, non-motorized Silver Comet Trail is for bikers, hikers, skaters, horseback riders, and dog walkers. 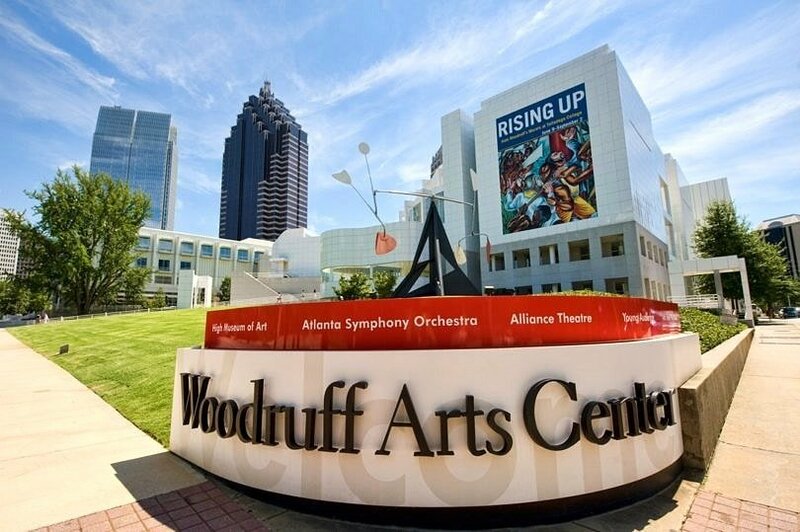 The Woodruff Arts Center is home to the Tony Award-winning Alliance Theatre, the Grammy Award-winning Atlanta Symphony Orchestra, and the High Museum of Art featured above. Every Sunday from 1:00 pm – 4:00 pm, you can bring the family for a free day of playing music, theater, games, crafts, instrument playing, petting zoos, and more. Also known as “The City Beneath the Streets,” Underground Atlanta is one of the city’s oldest attractions. In the 1920s, a new viaduct system required the street to be raised a level, leaving houses, shops, saloons and restaurants dating back to the 1860s below ground. In the 1960s, the storefronts were found and, and amazingly much of the architecture was still intact. In the early 1990s Underground Atlanta had a major renovation. Now visitors can enjoy 225,000 square feet of shopping, restaurants and entertainment on the original streets of Atlanta. Several spots still sport original architecture. You might think a cemetery is a strange item to be on a list of best free things to do in Atlanta with kids. 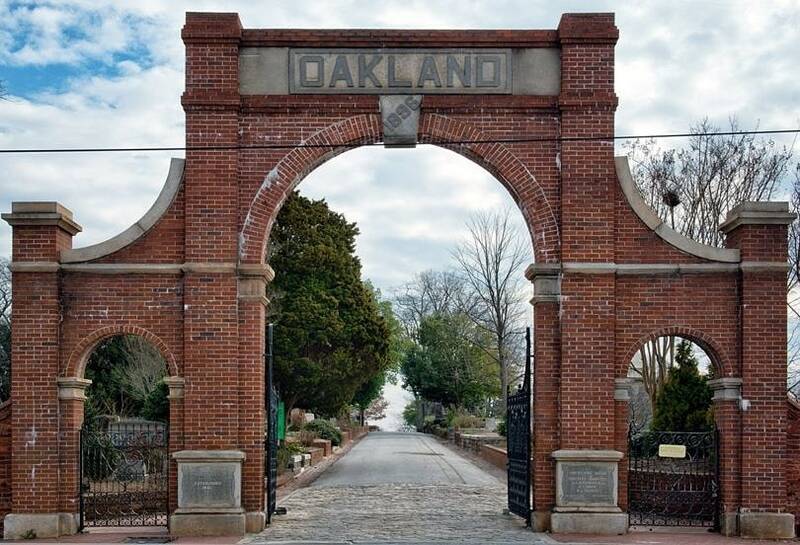 But for older children, Oakland Cemetery makes an interesting outing. Wander through the grounds, seeking tombstones of soldiers from the Civil War. Also buried here are Margaret Mitchell, Atlanta Mayor Maynard Jackson, and famous golfer Bobby Jones. Bring paper and crayons to do rubbings of the famous headstones. If your family loves the silver screen, go see a free movie in one of several Atlanta parks. There is just something magical about seeing a movie under the stars. Atlanta offers several free fresh air cinema options in summer including “Movies in Central Park” at Atlantic Station, “Movies on the Town” at Town Brookhaven, and “Dodd After Dark” at Bobby Dodd Stadium. Bring a blanket (or some hotel towels) and cozy up on the grass to watch a flick with the kids. 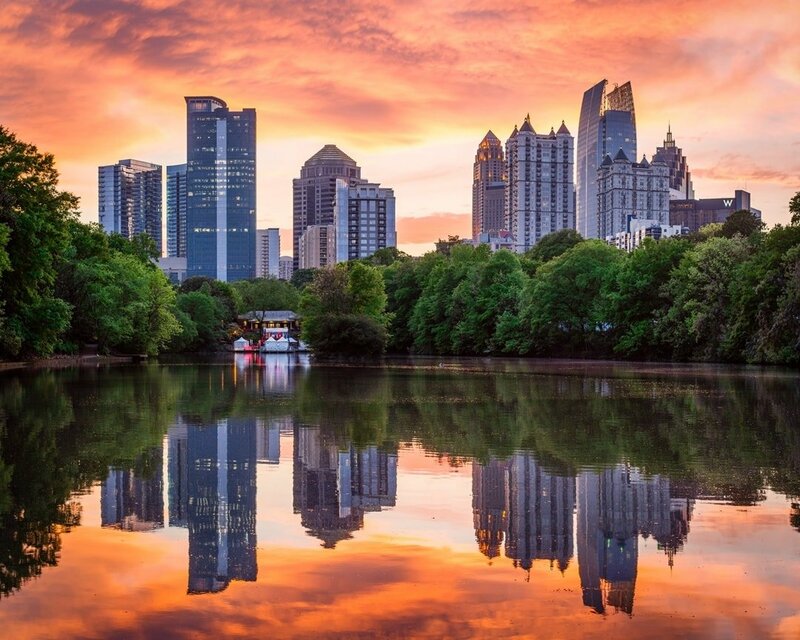 Atlanta, Georgia is a city full of southern charm and so many great places to see. This list is just a fraction of the free or low cost attractions and museums for you to experience when visiting Atlanta with kids. I hope I piqued your interest in visiting my beloved former hometown! Do you have any suggestions for, or questions about free things to do in Atlanta with kids? Let us know in the comments below! A Note from The Foodie Travel Mama: I did not receive any comps or media rates related to this story. All opinions are mine, as always. Kelly Hutchinson launched her blog, Kicking it with Kelly, as a way to express herself, connect with other women and share her love for family, cooking, crafting, travel and more! She lives in Knoxville, Tennessee with her husband and two younger children, and is mom to an adult daughter as well. Her son has Asperger’s Syndrome, which is on the autism spectrum. She home schools him, which makes every day an adventure. Connect with Kelly on Twitter as @kickingwkelly. DeKalb Farmer’s Market is the best. We go there all the time during the summer. They have some really great stuff there. It’s a perk of living in Georgia. Stacie, We lived about 1/4 of a mile from the DeKalb Farmer’s Market when we lived in Atlanta. I could spend HOURS there! Can’t you?! You will totally love it Robin! The fountains at Centennial Park are perfect for the summer! I love lists like this! I want one for every major city! It helps parents out so much when you have little money and want to get out. Thank you for sharing this! I totally agree with you Jeanette! I am a planner and a list maker, which keeps me organized. We do free whenever we can! I never thought to do the cemetery. Great post, will keep it in mind next time we travel that way! The cemetery is super cool Kristen! For Halloween, they do a “Run Like Hell” or “Walk Like Heck” 5k. Almost everyone runs in costume! All of those look like so much fun. I’ve never been to Atlanta before. I would love to take my girls there. I bet they’d really enjoy it too. Kathy, I grew up in Atlanta and it is such a great city! There is so much to do and see and the southern hospitality is outstanding. Sounds like a such a wonderful place to visit. Hubby and I have been trying to come up with our next vacation destination. I’ll have to keep this in mind! Tonya, You should go!! When we were there for a visit a few months ago, we had a packed schedule. We always have so much fun when we visit Atlanta. Great list. Some of these I need to visit with the kids! Pamela, the kids LOVE the fountains at Centennial Park and the Underground has so much to offer. I could spend the whole day in Underground! Alicia! Yes, you should get back when you can. These 10 places are just the cream of the crop of where to go in Atlanta. I have always wanted to visit Atlanta but never had the chance. These all sound great, and the High museum Of Art looks like a colorful place. Val, if you get the chance, you should go! My family misses living there and we love to visit whenever we can. When you get the chance, you should totally go Stacey! The 10 places I listed are just the tip of the iceberg! We love doing free things (who doesn’t!). I especially like the farmer’s market, those are always so lively and interesting to be in. It sounds like there’s so much to do with kids in Atlanta, both for tourists and locals alike. I like learning about the history of different towns, so I’d definitely need to see the MLK site. Crystal, The MLK site has been a favorite of mine for many years. When I taught summer camp, it was one of the places we took the older kids. These are great ideas to check out in Atlanta. I haven’t been there in many many years, way before my kids days. Kerri, You should try and make it down with the kids. Mine just love visiting Atlanta. There are so many great things to do in Atlanta. We would go to the High Museum of Art first. Great choice Ann! It is one of our favorite stops as well! That farmers market looks really awesome! I would love to attend with my family and go shopping. Amy, This place is HUGE!! We can easily spend a large part of our day just browsing and having lunch there. Super interesting place to hang out! I haven’t gone to the museum of art yet. It looks like one I MUST do and soon! Liz, I am sure you would love it. They have several functions there throughout the year. A favorite for us adults is the women’s wine and art events. Super fun event for you and your girlfriends and your daughter!